Its not April’s Fools day and that’s for sure but on Monday night (10/08/2015) Google has announced that Google Inc is becoming a subsidiary of Alphabet Inc (https://abc.xyz). 11 years ago, in the original founders letter, Larry Page and Sergey Brin wrote that Google is not a conventional company and in 2015 this is so true. Google is about evolution and this strategic move will make more sense in the near future. To many people this move may seem as a Silicon Valley plot but by looking into yesterday’s announcement deeper, this move makes sense. The idea of what Google is in 2015 and what it was 10 years ago are very different. For many, Google used to be synonymous with search and advertisements but Google has grown. With the rise of Android and the continuous developments of Google Maps, YouTube, Chrome and all the other Google projects its very hard to pin the company as one thing. As Larry Page has said, in the technology industry where revolution drives the next big growth areas, you need to be a bit uncomfortable to stay relevant and thats what Google did. So you may now start wondering what is Alphabet? Apart of being a Greek word, Alphabet will be a collection of companies, the mother of all in other words and the biggest of her children will be Google. Alphabet will have a wider focus than the Internet of things, looking at the latest of Google’s acquisitions such as Calico etc. Google, em, sorry meant Alphabet is growing. This move is a whole new chapter for Larry Page and Sergey Brin. It grants them the opportunity to keep investing more and more to companies or services that until now they were reluctant to do so. Their company is not anymore just a search engine (even if it is the best available) or a place to advertise and entertain yourself online. This is just a part of Alphabet. It may be the biggest part of all, but it still is just a part. 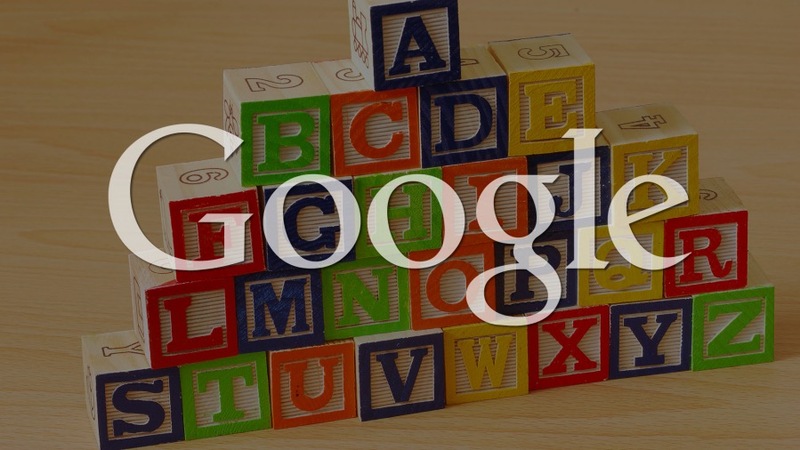 And of course as mentioned before, mother Alphabet has a much wider focus than Google used to have, since the companies that can enter are not anymore focused only on Internet services and innovative technology products. In other words, Alphabet opens up the doors to enter any business line it chooses. It is quite true that since the news announcement a lot of people are still confused about what the future holds for Google and Alphabet. Below you will see what makes up Alphabet to start with and what parts still remain part of Google. Seems like a new era is beginning, a whole new page in history and economy starts. Our generation is the one that will be there to live it.